Read bios of Hall of Fame members inducted in the Class of 2010 through the Class of 2018 below. To read bios of Hall of Fame members inducted in later years go to Banquet Program on the right-hand side of this website. A long-range shooter with few peers, Randy dazzled crowds throughout his basketball career. Randy was a versatile athlete at Reliance. As a senior he placed fifth in the state cross country meet, took third in the pole vault at the state track meet, and earned all-state honors in basketball for the second time. A four-year starter, Randy led the Longhorns to two conference titles while scoring over 1,900 career points. The 6-foot guard averaged 33.9 points a game during his final season with a single-game high of 63. That year the Longhorns, coached by Darrell Cadwell, were undefeated until losing to the eventual Class B state champion Alexandria Beavers in the championship game of the region tournament. Randy then performed with such distinction at Dakota Wesleyan University that upon his graduation in 1969 the school retired his jersey No. 22. He was only the second player in the 52-year basketball history of the Tigers to have his number retired. Randy totaled 1,829 points at Wesleyan, averaging 18 points a game for his career. The Tigers claimed three South Dakota Intercollegiate Conference titles during Randy’s four years. He was named all-conference twice. Randy helped Wesleyan begin a remarkable streak when during his freshman season the Tigers won the Wayne State (Neb.) Holiday Tournament. It signaled the start of a 14-year run in which DWU won a holiday tournament each season behind the coaching of Gordon Fosness. Also a standout golfer as a collegian and later in the amateur ranks, Randy was inducted into the DWU Hall of Fame and the SDIC Hall of Fame. Randy and his wife Glenda live in Lennox. Randy has two children: Deanna and Sheldon; and four stepchildren: Michelle, Brian, Joel and Lonnie. 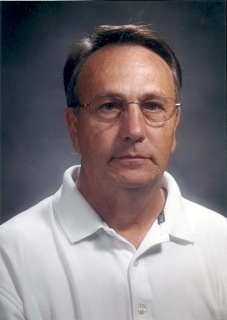 The South Dakota High School Basketball Hall of Fame is proud to induct Randy as a member of its Class of 2012. Mr. Fletcher was my middle school science teacher and middle school basketball coach. We would practice at 6:30 in the morning. But we enjoyed it and enjoyed him. Congratulations on your induction and God bless! Way to go Randy! What an Honor and well deserved! Thank you for the many years of coaching and teaching as well! Congratulations to you again. I have added this to the Fletcher page on the Black website. Didn’t realize the talent you had Randy. Knew you were a great coach and good teacher. Congratulations to to you on this award. Awesome Job Randy! Well Deserved! Congrats Gramps! We always new you were awesome. Im proud to say you are my father-in-law and a wonderful grandpa to our girls. Congratulations Pops! We are very proud of your acccomplishments on and off the court! Thanks for being who you are! Randy was the best pure shooter that I have seen in 60 years of watching South Dakota High School Basketball. His range was unreal and he would have hundreds more points in high school and college if he had played when they had the 3 point shot. Dazzled fans for many years. Congratulations Mr. Fletcher! I had no idea you were such a great basketball player back in the day, but I do remember having some exciting games while playing for you in middle school. Thanks for being such a great teacher of the game. What a great honor/achievement making the SD High School Basketball HOF! LaMoine Torgerson - Vice Pres.